A dog was discovered in a bucket in South Boston. 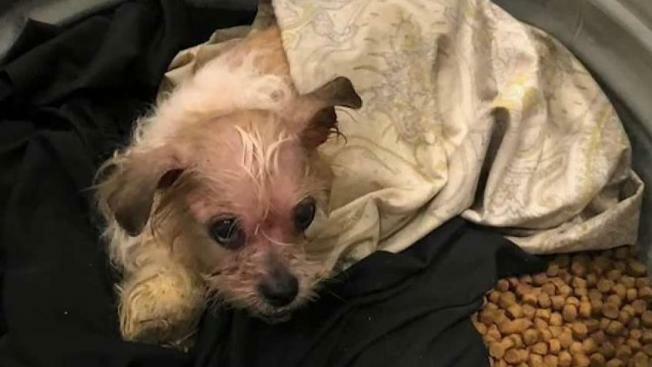 A dog with severe injuries was found abandoned in a bucket Tuesday at the Court Square Press Building in South Boston. The dog, who was named Matt by the medical team treating him, was described as being in "very poor condition," according to officials. His fur was severely mattered and he was infested with fleas and maggots. Matt’s injuries indicated he had been suffering from his condition for a prolonged period of time. He is currently being treated at the City of Boston Animal Care Facility in Roslindale. Matt’s case is under investigation. Officials are asking the public to contact Animal Care and Control at 617-635-5348 if they have any information on the dog’s abandonment. They remind pet owners that abandoning them is illegal and there are resources available for those who can no longer take care of their pets.